Make this gorgeous quilt today! 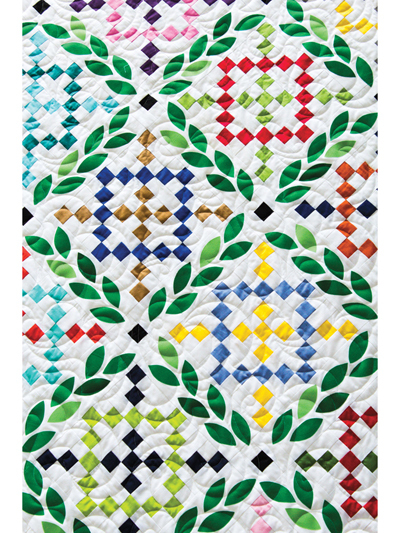 This quilt pattern is a combination of piecing and applique. It provides you with an opportunity to use a large collection of multicolored solid fabrics. 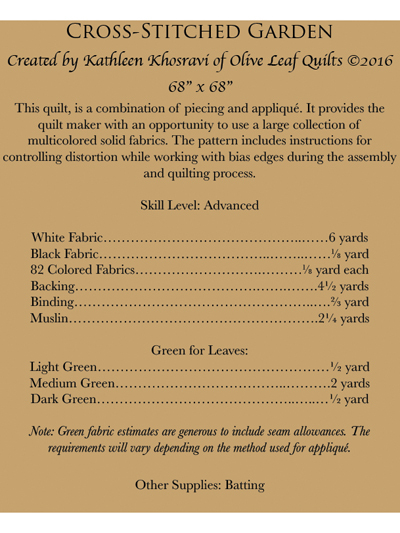 The pattern includes instructions for controlling distortion while working with bias edges during the assembly and quilting process. Finished size is 68" x 68".